2015-01-11: An inteview with the team Rally Raid UK’s mechanics, about their experiences of the rally. From left: Chris Ratter (orange coat), Kevin Stubbs (white shirt), Glen Thompson (with hat). This entry was posted in Dakar and tagged dakar 2015, mechanics, team Rally Raid UK, video. Today the three cars of team Rally Raid UK cleared the first scrutineering of the Dakar rally, carried out in Le Havre. After this all vehicles will be shipped to Argentina by boat. A total of 414 vehicles are entered in the rally. The yellow Desert Warrior of Annie Seel and Paul Round will be race no 394. 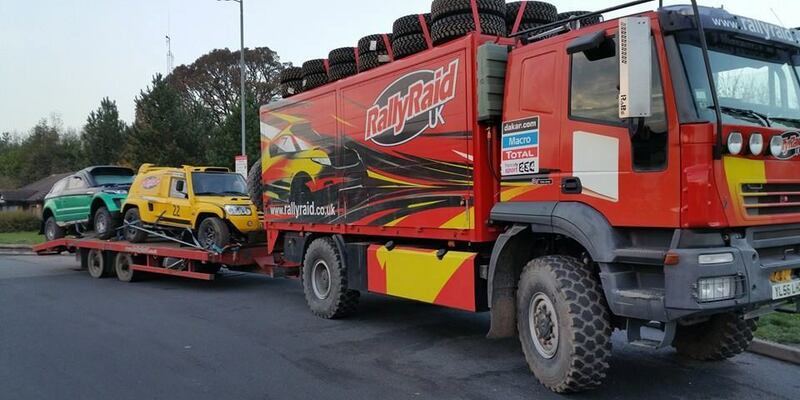 Team Rally Raid UK’s trailer with 2 rally cars on board in Le Havre heading to Argentina for Dakar. The third car is on a small trailer. 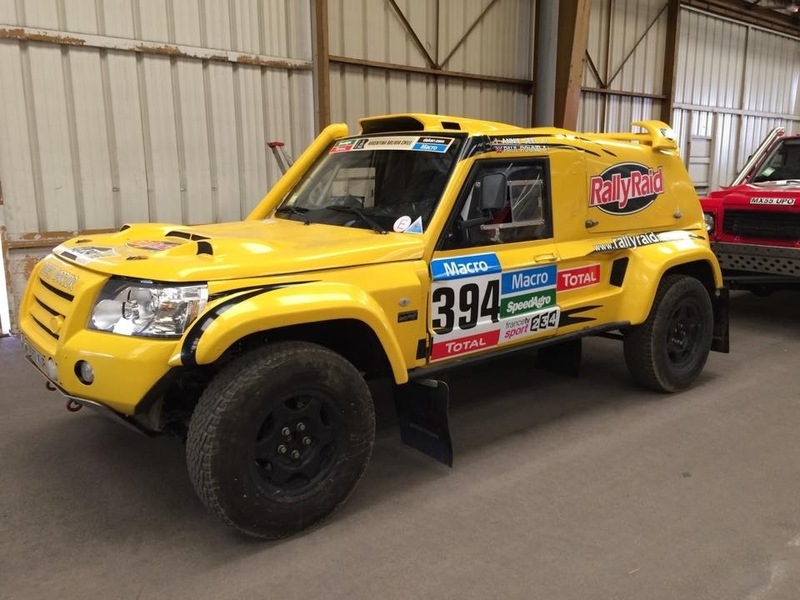 This entry was posted in Dakar and tagged dakar 2015, team Rally Raid UK.